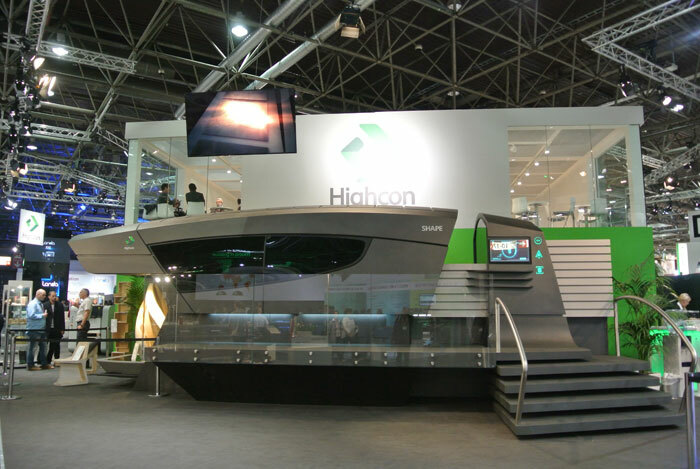 When prowling the 17 Halls of Drupa exhibition in 2016, I come upon an un-expecting views of a huge machine in Hall 9. the machine itself it's called Shape, made from an Israeli company called Highcon who is just joint the exhibition in its first time. Highcon company itself specialized in post-processing portion of the printing and packaging industry, sporting a large-bed laser cutting system for use in packaging industry so to speak. The Shape machine, reminding me on the paper lamination system in the days of Solido and the recent development of Ireland's Mcore, can produce a 3d model made from regular paper. it cuts and glued paper and stack them together to produce a 3D model. the huge machine depicted the size the machine can produce. While it's technically a prototypes and the shape won't be ready anytime soon (the marketing people at Highcon states about 2019-2020 ready to ship period of the machine), the model that this machine can produce is already available through the Euclid III model machine that is showcased in the Hall albeit in a smaller size. 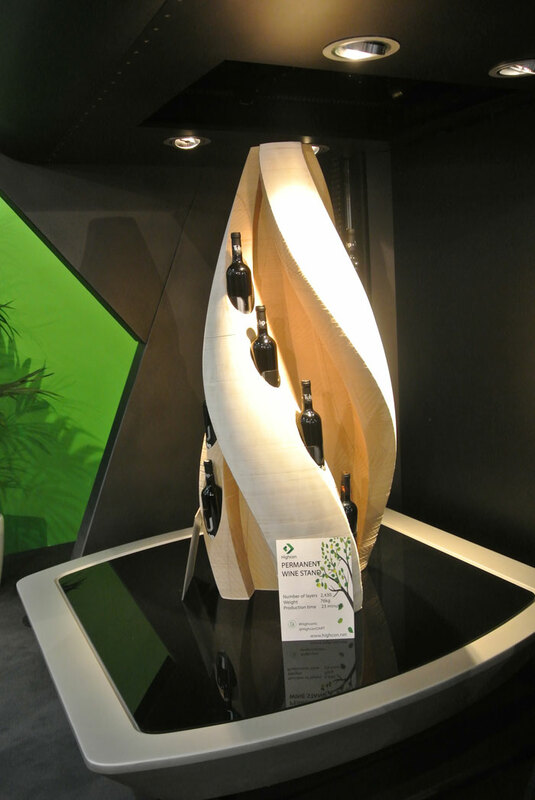 This permanent wine stand model that the machine produce is being printed from a 2.436 layers of paper, weighting in 76 kg and cut and printed in 23 minutes. this is a perfect example for a prototyping cycles for interior or product design industry. While the model can be used to produce various different model that is being showed at the booth. the application that intrique me is that it can be used for concrete and carbon fiber casting process. Imagine if you want to create an elaborate design for a concrete column and you need to create the casting mould for it, if you have the 3D model, the system can cut and produce it in a matter of minutes. 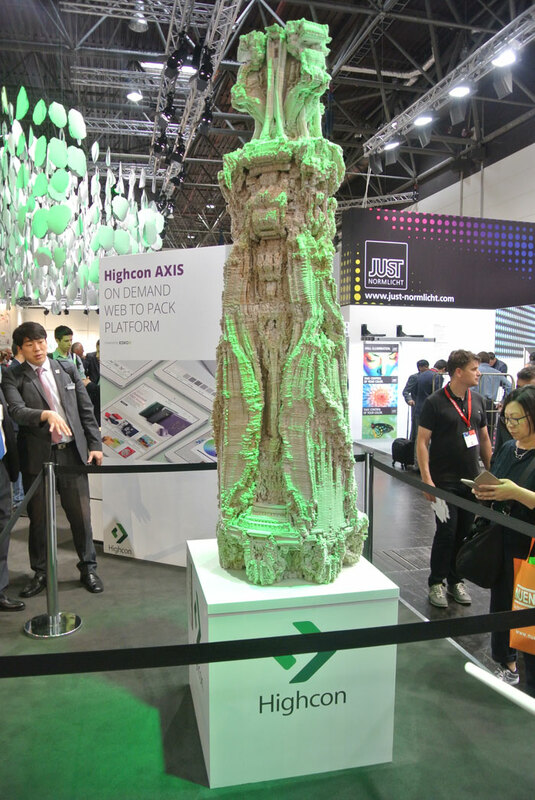 While Drupa 2016 is mainly for printing show, the introduction of 3D capabilities showed that traditional printer industry is also entering this 3d rapid prototyping market. we will sww what this 800K machine has to offer in the following years.